99%! 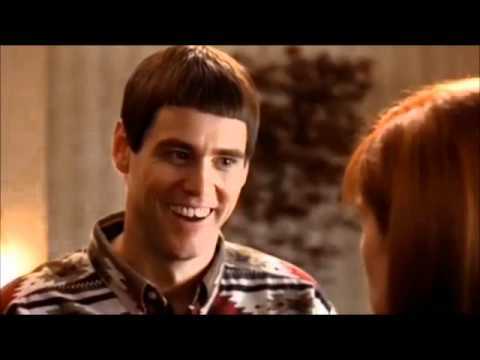 So you’re telling me there’s a chance?! That chance is the Green Bay Packers. I firmly believe Romo was tired of the preparation and work that went into being a starting QB and I believe that he does have serious concerns about his health, but I also believe he regrets not getting one more chance with a good Cowboys team. Before the season started he had a chance to keep playing and chose to retire instead, so what’s different now? His name was linked to teams like the Denver Broncos and Houston Texans. Teams that have a good defense and seemed to be one QB away from being Super Bowl contenders. In Denver, he would’ve been in the shadow of Peyton Manning who had already come to Denver’s rescue and taken them to the Super Bowl. Anything but the Super Bowl would’ve been a disappointment (and, let’s be honest, Romo doesn’t need any more playoff disappointment). In Houston, he would’ve been the savior, but it’s questionable whether they were really only a QB away from being Super Bowl contenders. Plus, as we can now confirm, he had a lucrative offer from CBS to be the number one football commentator. Tough choices. Ultimately, Romo decided to “retire”. But then Aaron Rodgers’ collar bone threw the entire world as we know it into disarray. Romo’s name was immediately called as the only person who could come in and try to fill Aaron Rodgers’ shoes. Well, other than Brett Favre, I guess. So would Romo really leave the broadcast booth to come save the Packers’ season? I think he might. Let’s look at the situation. With all the teams that need a QB this year, nothing grabs you quite like being able to say you’re the starting QB of the Green Bay Packers. Romo – a Wisconsin native – knows this and surely feels the pull of this storied franchise. They’re always Super Bowl contenders and they again have a talented team. After all, they just beat the same Cowboys team Romo wishes he had the opportunity to lead one more time. This alone sounds like a storybook ending for Romo, but there’s more. Before the season, Romo was an unknown as a broadcaster. CBS was taking a big risk by offering him the number one job and Romo couldn’t look a gift horse in the mouth. Peyton Manning was also looming in the background and CBS could have easily turned to him. I think Romo made the right decision. But now? Now he’s proven as a broadcaster. He’s surprisingly (maybe not to CBS) good as a broadcaster and is receiving a ton of accolades for his work. Now he has a bit of leverage. Because of his early success, he’s more likely to come to terms with CBS on a one-year hiatus. And if they couldn’t agree there would be plenty of other networks ready to make him an offer. This wouldn’t be entering the unknown of Denver and Houston, and possibly playing for several more years, this would be playing for one more year; it’s not like Green Bay isn’t going to go back to Rodgers next year. This would give CBS some comfort that Romo would return and would give Romo one more shot. Add to this that the expectation is no longer take Houston or Denver to the Super Bowl, it’s simply save Green Bay’s season, just come in and get them to the playoffs and then we’ll see what happens. No harm in trying.